Spinneybeck is excited to introduce a new collaboration with the Swiss company Dukta. Dukta’s patented incision process makes wood and engineered wood flexible. 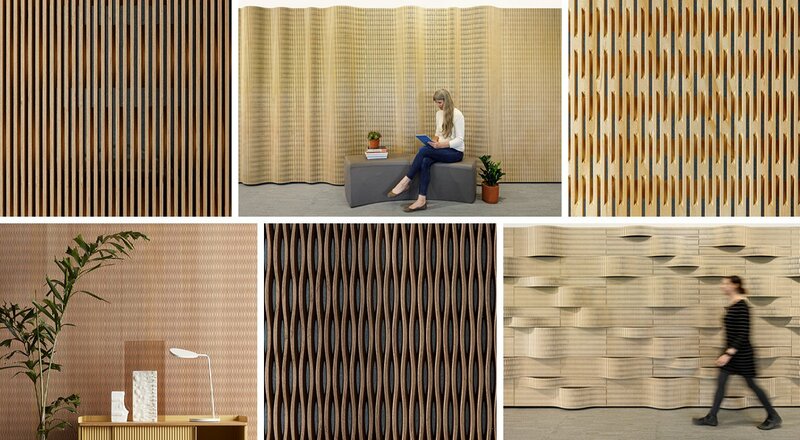 A series of complex incisions allow textile-like properties plus create transparency and sound absorbing properties unexpected from wood products. These innovative products adapt to a wide range of applications including wall and ceiling panels, free-standing screens, and acoustic installations. Available in full sheets as well as acoustic wall panel products, the four patterns of incised wood are available in select engineered woods and hardwoods.